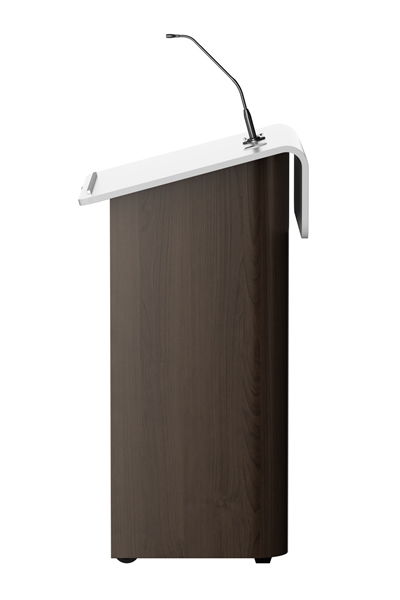 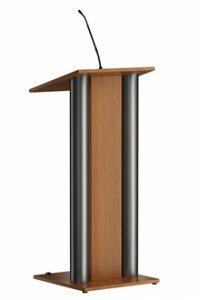 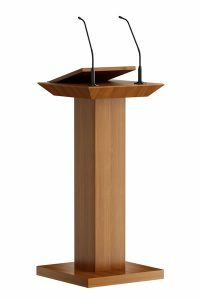 Powerful round counters are a striking design in this modern wooden lectern from the collection by Villa ProCtrl. 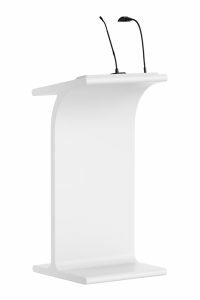 The folded front desk is perfect for your logo or the name of the speaker. 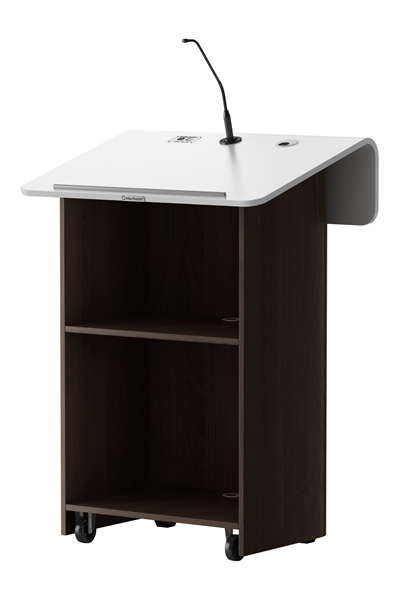 The reading desk has options for a microphone in shockmount, LED reading light and cable grommet. 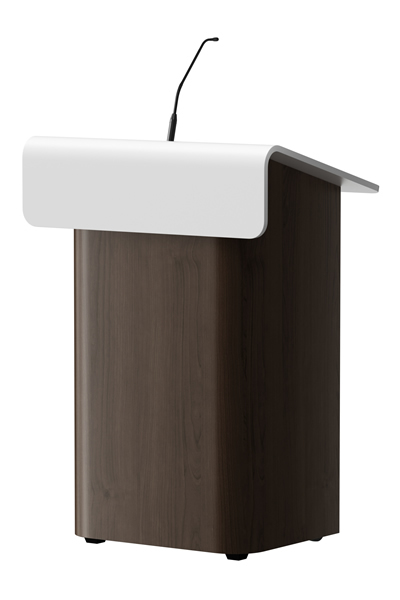 A stainless steel paper stop keeps your A4 in position. 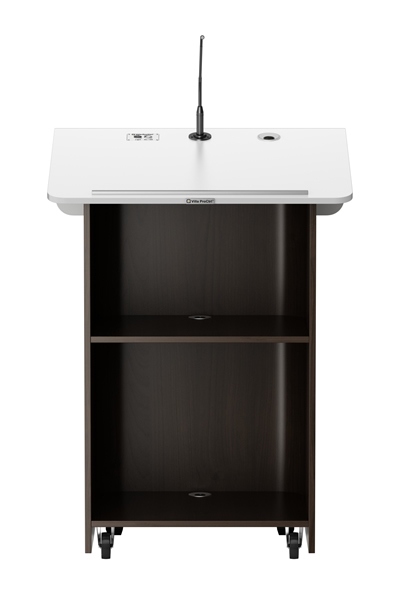 At the bottom of the lectern on the side of the speaker is a storage room with horizontal shelf. 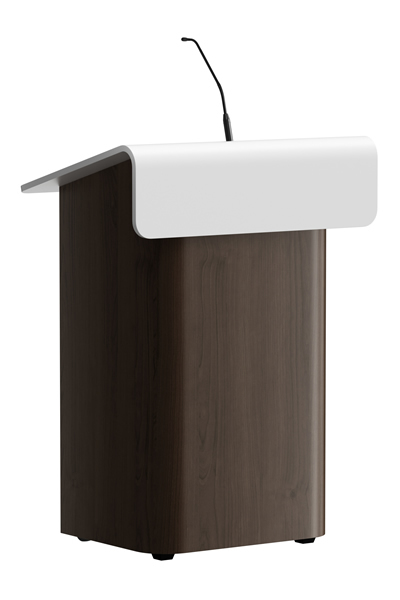 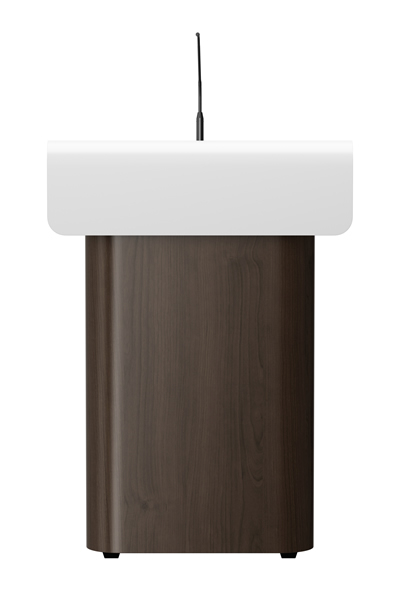 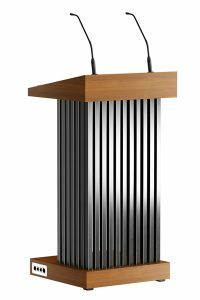 The wheels (optional) under the lectern allow easy movement on stage. 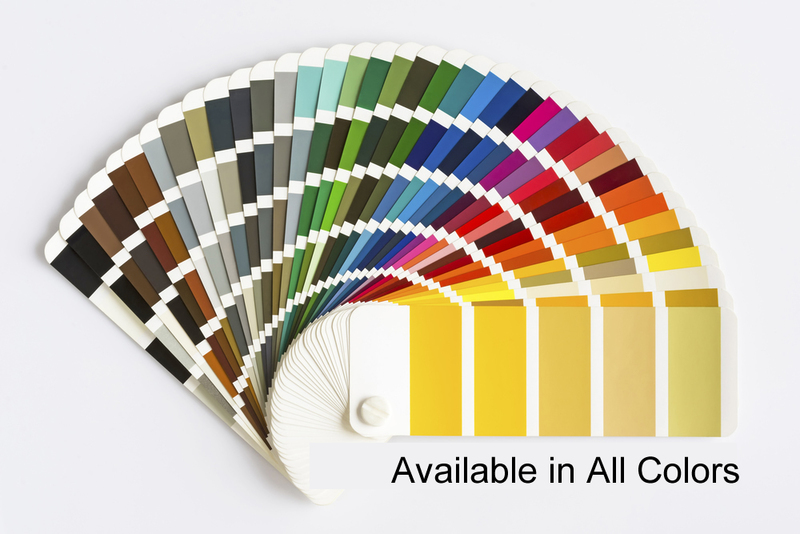 You have a wide choice in various patterns and colours in HPL or the look is completely to match your interior.